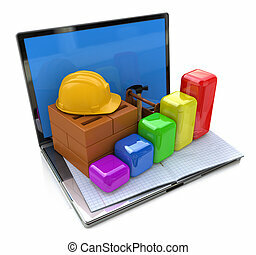 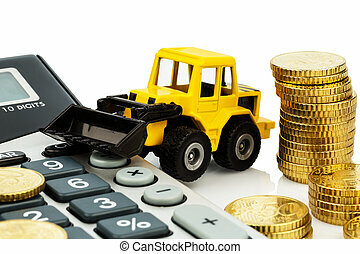 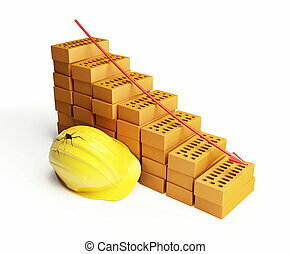 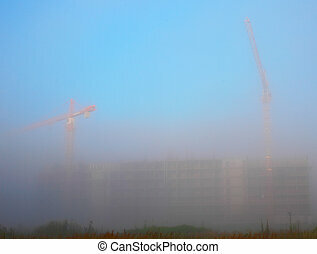 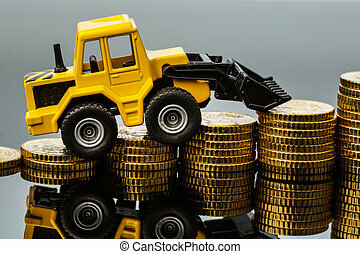 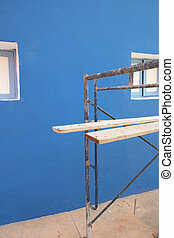 Cost accounting in the construction industry and the construction industry. 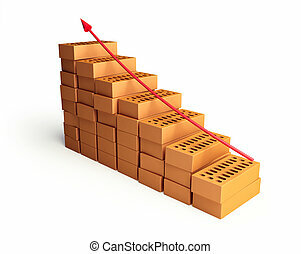 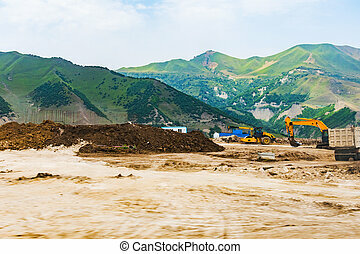 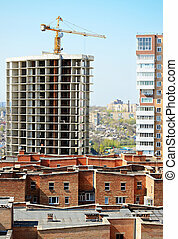 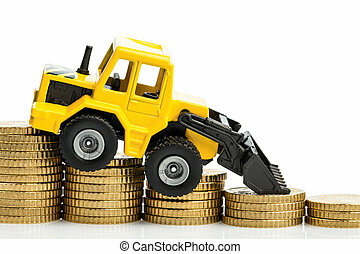 higher prices higher in road construction and in housing. 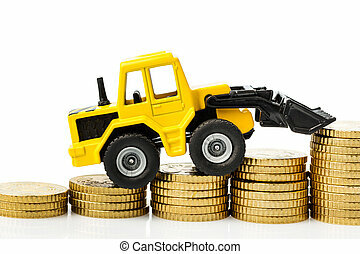 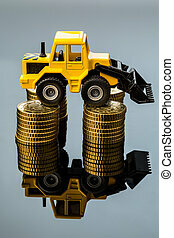 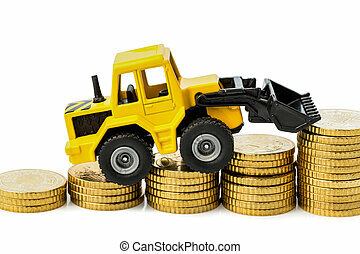 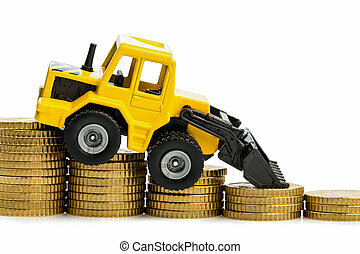 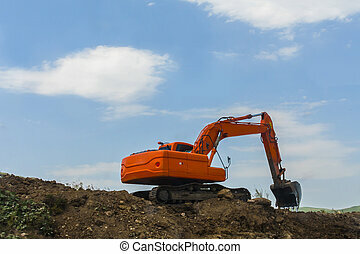 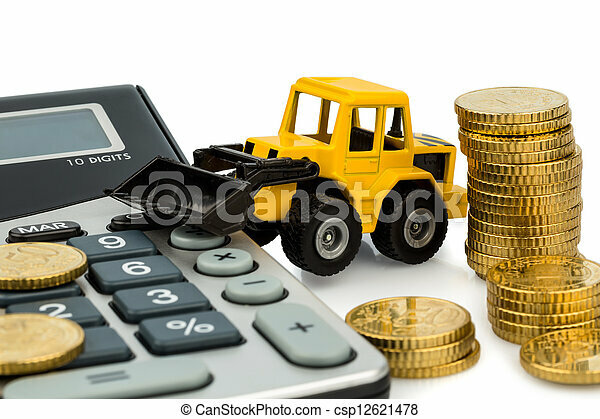 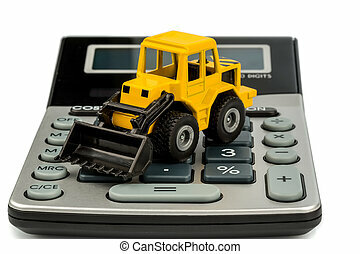 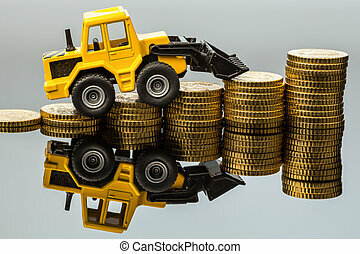 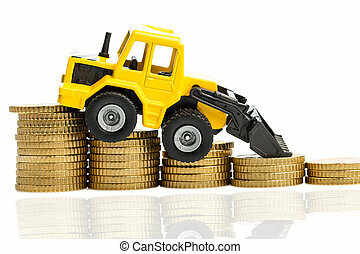 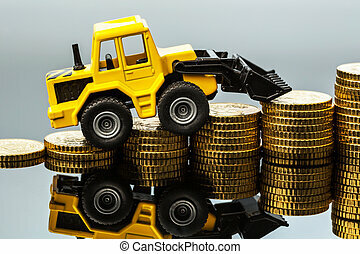 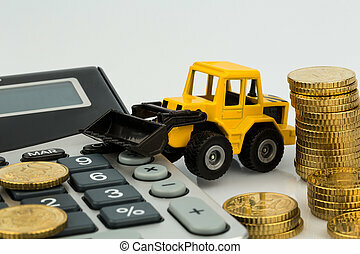 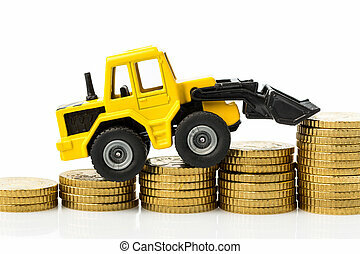 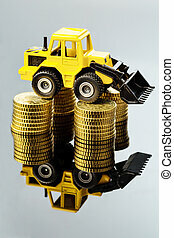 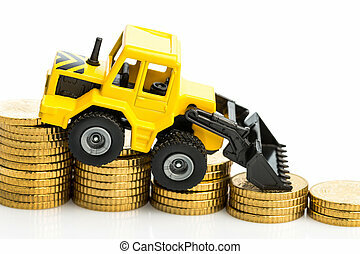 excavators with coins and calculator. 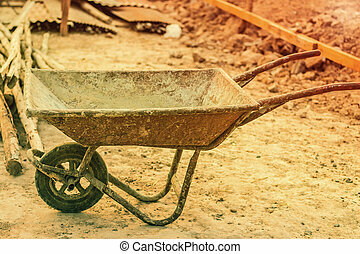 Cart old mortar in the construction. 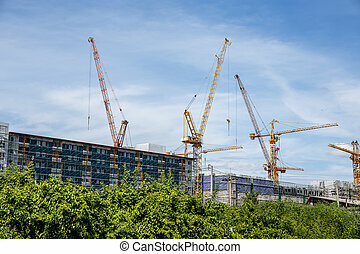 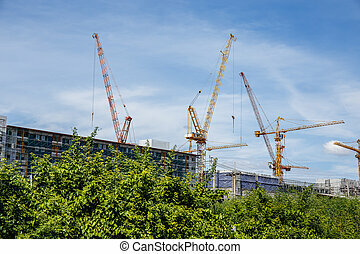 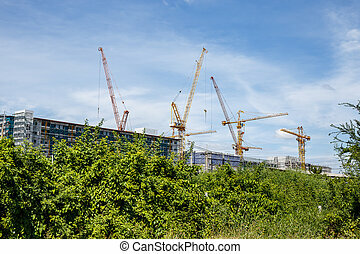 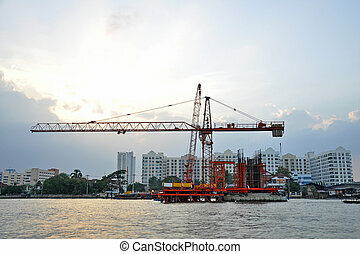 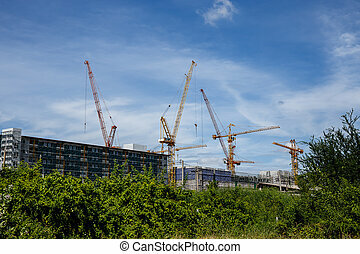 Construction in the Chaophraya river, thailand.